Tremors felt by residents of New Jersey Shore and Long Island today prompted speculation that an earthquake had occurred—but the US Geological Survey confirmed that the rumbling sensations were caused by a sonic boom. Meanwhile, a local ABC affiliate is reporting that a military aircraft from the McGuire Air Force Base broke the sound barrier, causing the tremors. 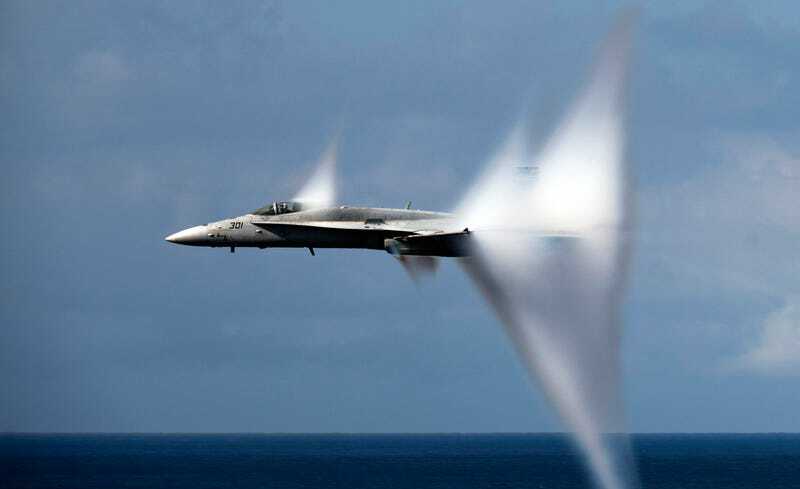 However, a spokesperson from New Jersey’s McGuire Air Force Base told Gizmodo that the base does not house aircraft capable of breaking the sound barrier. While the North American Aerospace Defense Command conducted a military drill in Florida yesterday, it denies involvement in today’s sonic boom. A NORAD spokesperson told Gizmodo that NORAD is not conducting any activity in the region today. The Department of Defense denied involvement as well, and suggested I call the FAA. “The FAA is referring calls to the military,” an FAA spokesperson told me via email. Contrary to reports on Twitter, the New Jersey State Police denies that it informed troopers of military activity causing the boom. “That didn’t come from us,” a spokesperson told Gizmodo. This isn’t the first time residents of New Jersey have experienced a sonic boom. In 2012, South Jersey experienced a sonic boom after a military exercise. If it was a military exercise and not a very poorly executed Cloverfield marketing campaign, it wouldn’t be the first time the military blasted US residents with sonic booms. Poor Oklahoma City experienced sonic booms eight times a day for six months in 1964 during an FAA test. The U.S. Navy has said the sonic boom was very likely caused by the F-35C, the Navy’s version of the Joint Strike Fighter, that was executing test maneuvers in the area today. The F-35C is currently flying test flights out of Navy’s premier test base, Naval Air Station Patuxent River, located in Maryland. If that’s the case, I don’t know why the Department of Defense told me it wasn’t involved. Rude.